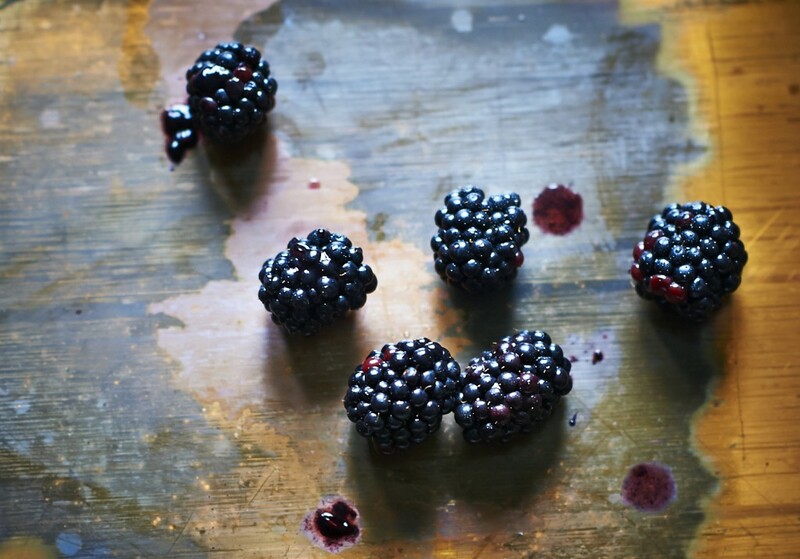 Blackberries are, for me, the most winter-y of all fruits. There is something about their jewel-like shapes and dramatic colour that makes them particularly well suited for these darker months. 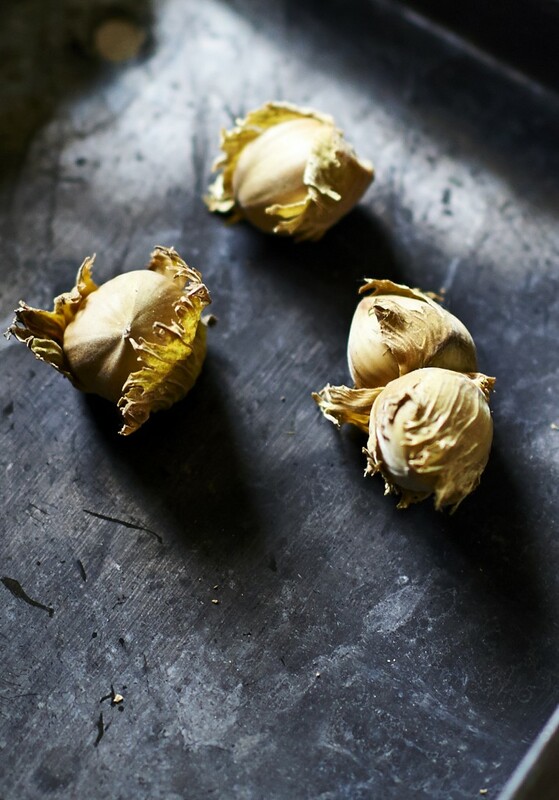 And although they are in season and most perfect, ripe for the picking, during the early autumn (when these recipes were in fact shot), they are easily found in the supermarkets right through the winter months, intended for porridge topping and jam making. They have a sweet-tart thing going on, which makes them wonderful for desserts- they come into their own baked into cakes and crumbles. But they can also be served with meat, in particular game and, as I’ve done here, in a simple winter salad. 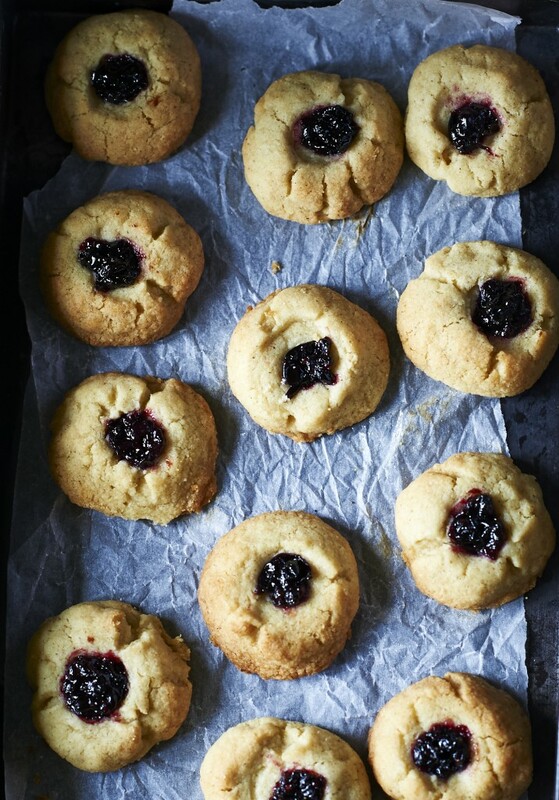 The recipe for thumb cookies is a take on a traditional Swedish cookie called often made with raspberry jam called ‘hallongrottor’ which literally translates to rasbberry ‘caves.’ As a child I couldn’t resist them and always pestered my aunt to make them whenever she came to visit. Potato flour (note, flour NOT starch!) 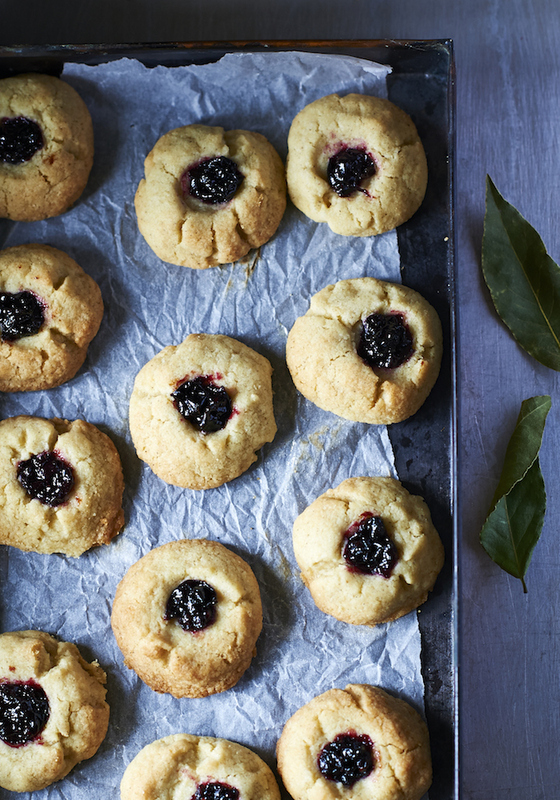 is super silky and adds a wonderful crumbly texture to the cookies. If you can’t find it, you can either substitute with more plain flour or try adding a little cornflour. All photographs here are by Faith Mason, do have a look at more of her work on her site! 1) Preheat the oven to 200C/400F/Gas mark 6. Crack open the cobnut and remove from their leafy and hard shells. Place on an oven tray and toast for about 20 mins, until golden, tossing halfway through. Allow to cool completely. 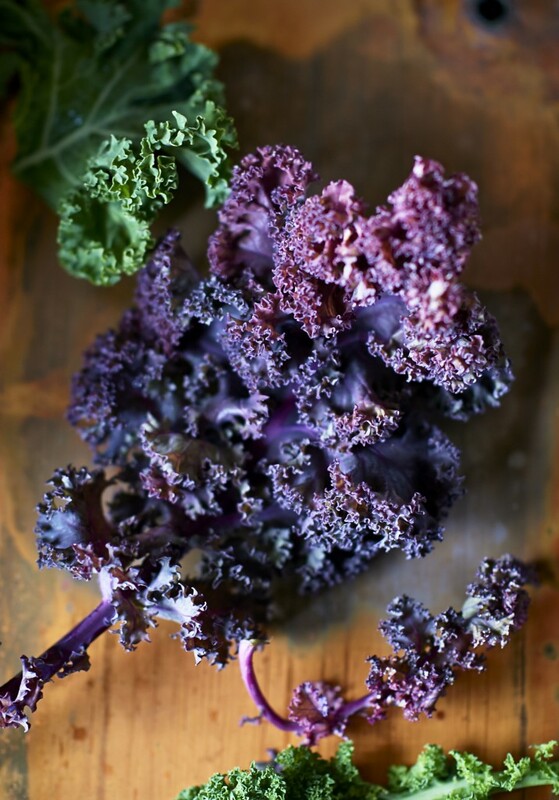 2) Meanwhile, tear the kale into smaller pieces, discarding any larger woody stems. Place in a large bowl along with the lime juice and a generous pinch of salt. 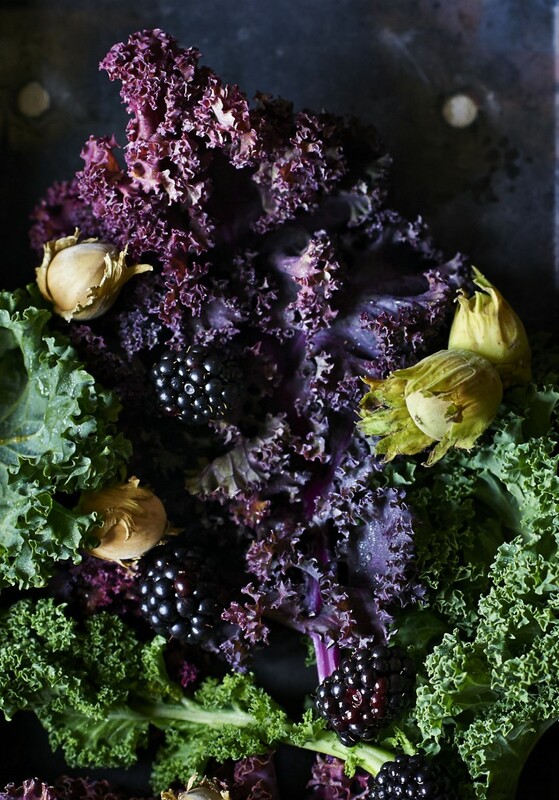 Gently massage the leaves for a few minutes, until they start to break down and become more tender- you’ll notice a gradual change in colour as they go darker. Add the blackberries and cobnuts and toss. 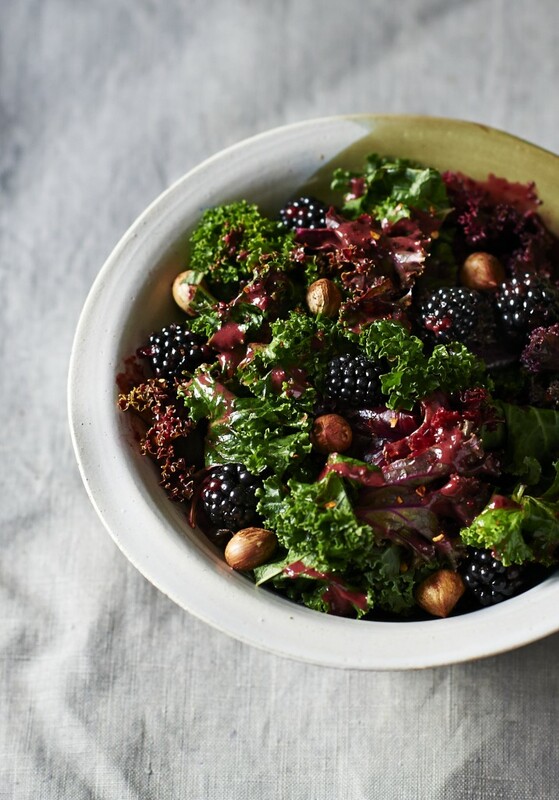 3) Blitz the blackberries, balsamic and olive oil along with a pinch of salt and 1/2 tsp ground black pepper. Add the thyme leaves and blitz for another few seconds. Use to dress the salad. 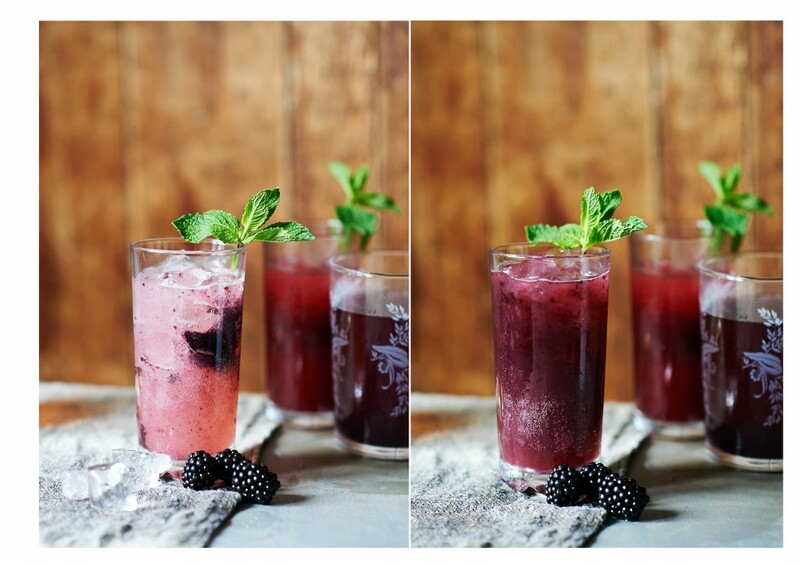 1) Blitz together the blackberries, mint, ginger, syrup and sugar. Strain through a fine mesh seive. Add to a cocktail shaker with the bourbon and a large handful of ice. Shake vigrously, then pour into two ice filled glasses. Top with ginger ale and garnish with a mint sprig. 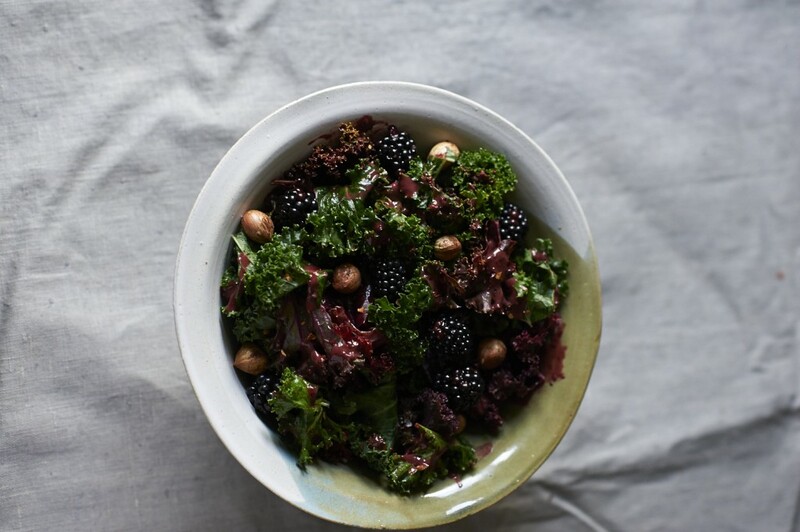 1) Place the blackberries, bay leaves and 50g of the sugar in a saucepan along with about 50ml of water. Bring to the boil then lower the heat and simmer for about 15 minutes, until the fruit has completely broken down and is very jammy. Allow to cool completely. 2) Preheat the oven to 200C/400F/gas mark 6 and line a baking sheet with parchment. In a large mixing bowl, combine the remaining sugar, flours, vanilla and baking powder. Add the cubed butter and mix together with your finger tips, working quickly to form a dough. Alternatively, pulse in a magimix. 3. Roll the dough into small balls- about the size of a walnut. Place these on the baking sheet before carefully making small indents into each with your thumb. Don’t worry if the dough cracks a bit, the cookies will still hold together. Fill each hole with a spoonfull of the jam. Bake for 8-10 minutes, until just starting to turn golden. Cool completely on a wire rack.